The many faces of Eleven. How do you know when you’ve really arrived? 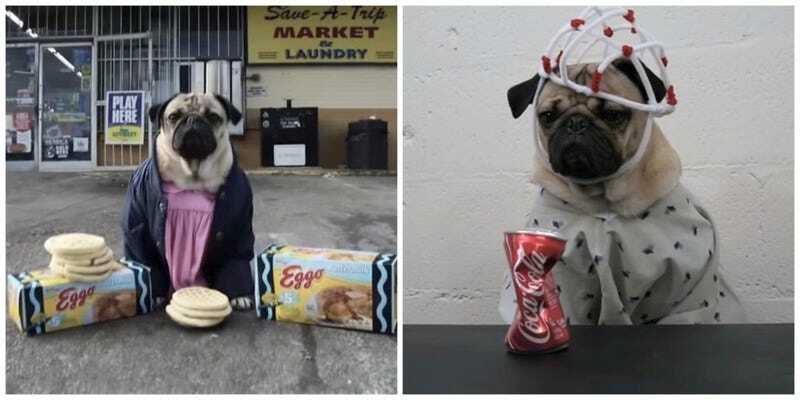 Buckle up, Duffer Brothers, because internet superdog Doug the Pug—who has two million Instagram followers—has paid tribute to Stranger Things with a costume montage. Besides nerdy stuff, Doug’s other interests include pizza and pizza.